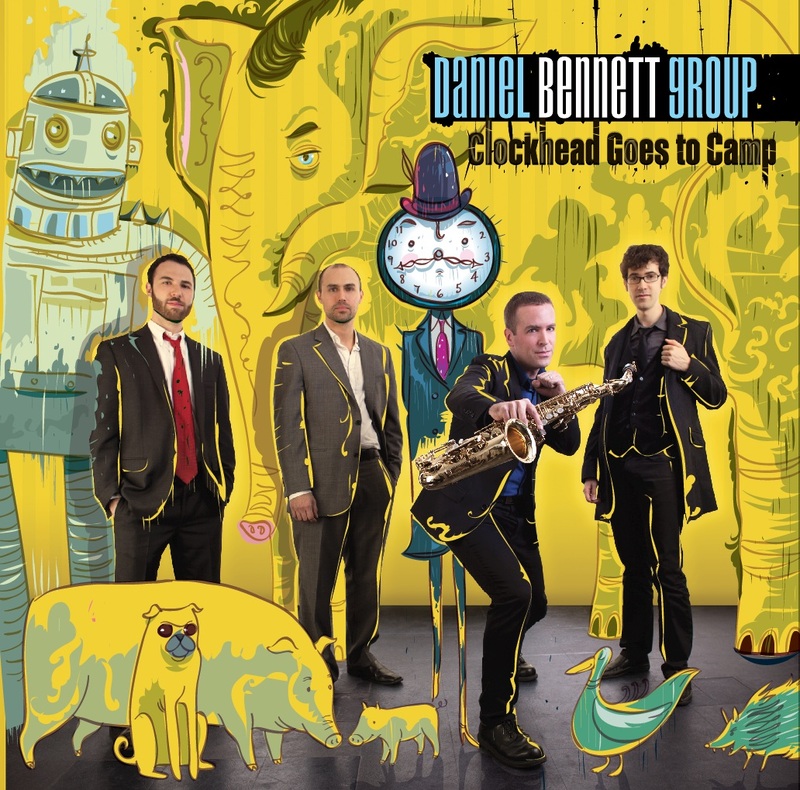 “I was imagining a world of animals, similar to something you might see in a Richard Scarry children’s book,” says Daniel Bennett of Clockhead Goes to Camp, his sixth album as leader. 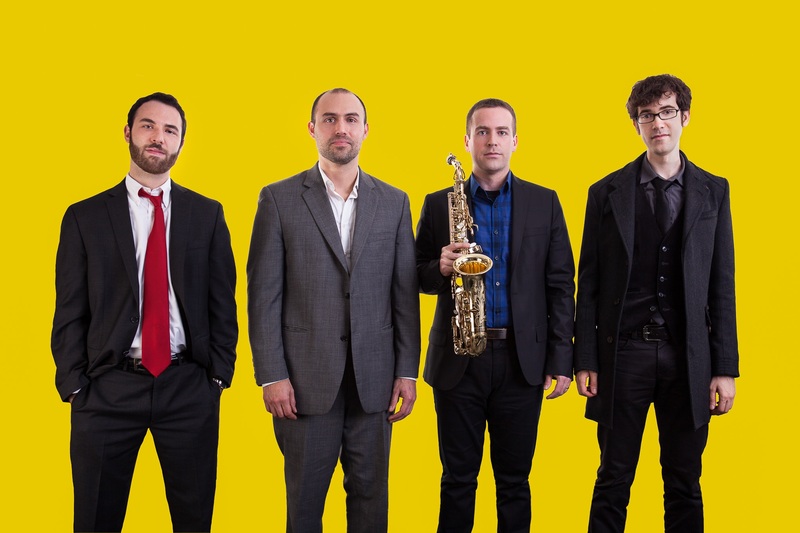 The Manhattan-based saxophonist and composer is joined by guitarist Mark Cocheo, bassist Peter Brendler, and drummer Tyson Stubelek for a quirky and meticulous ride that just might be the first genuine musical equivalent of a Wes Anderson film. In this follow-up to A Nation of Bears (2004), The Legend of Bear Thompson (2008), and Peace and Stability Among Bears (2011), Bennett and his crew move away from the ursine and into a world of sticks, stones, unbroken bones, and a few words for good measure. This self-styled folk jazz project features mixed meters, a mélange of styles (from surf to American minimalism), and evocative arrangements. Representing over a decade of fine-tuning, the album is meant to recreate the feeling of a live show, and with titles like “Dr. Duck’s Beautiful New Kitchen” and “Last Summer at Camp Creepy,” much is left to the listener’s imagination to flesh the scenes, making for a thoroughly enjoyable listen. Bennett tends to stick to the higher end of his horn, a decision born as much from his staunch pragmatism as from his brimming optimism: “I feel like the higher register of the alto saxophone sits really well on top of the guitar and bass. The song melodies pop out more to the listener when played in a higher register. Maybe this was also an unconscious departure from the traditional ‘husky’ low saxophone sound that permeates modern jazz.” This preference for brighter, lively melody-making is immediately manifest in “The Old Muskrat Welcomes Us,” which opens the set with smooth, uplifting energy. The turquoise tone of Bennett’s horn and the sparkling accompaniment—replete with Hong Kong handclaps—are all tied in a beautifully syncopated package. As the handclaps carry over into “An Elephant Buys a New Car,” one already notes a tendency in the arranging. Like a party spun by Steve Reich, it mixes a cocktail of structure and paratextual flow. The title track deepens the sense of songcraft. Mixing straight-up jazz riffs with offshore touches, its sparkling 12-string dots sun glints onto water. Cocheo cites a list of idols, some of whom will be familiar to ECM listeners: Jim Hall, Wes Montgomery, Pat Metheny, Bill Frisell, John Scofield, Wayne Krantz, Ben Monder, and Scott Henderson. “I am also equally influenced by rock, pop, and classical music,” he goes on. “I believe that by having these other influences, it can bring a whole new world into the music. Although I listen to and practice jazz all the time, I have too many diverse influences to be just a straight-ahead jazz guitarist.” Certainly, in tracks like the waltzing “John Lizard and Mr. Pug,” which also features Bennett on clarinet, and the Buckethead-esque flower that is “Ten Piglets” we feel a soundtrack quality that embraces these influences and more. Cocheo walks a fine line between them, and in the process affords himself the freedom to color with broad intuition. Bennett’s penchant to have at least one unaccompanied song per album manifests itself this time around as “Sandpaper is Necessary.” The surrounding context of this brief alto solo lends rhythmic insight and allows us to read into it as if the band were still present. It reminds us that at the core of these tunes lies a cellular attention to detail. Each is articulated with deceptive simplicity, which in fact harbors a deep and lasting moral message, a realistic ending, and affirming outlook on life. Like the (seemingly) 80s horror flick-inspired menagerie of “Cabin 12 Escapes into the Night,” it laughs in the face of fear and finds in every shadow a smile waiting to shed its light. Clockhead Goes to Camp is set to be released on July 10, 2013 by Manhattan Daylight Media Group. More information and samples are available at the group’s website here.